Kate Rooney Mara is an American actress and fashion model. She is known for her roles as reporter Zoe Barnes in the Netflix political drama House of Cards, computer analyst Shari Rothenberg in the Fox thriller series 24 (2006) and Ben Harmon’s vengeful mistress Hayden McClaine in the FX horror miniseries American Horror Story: Murder House (2011). 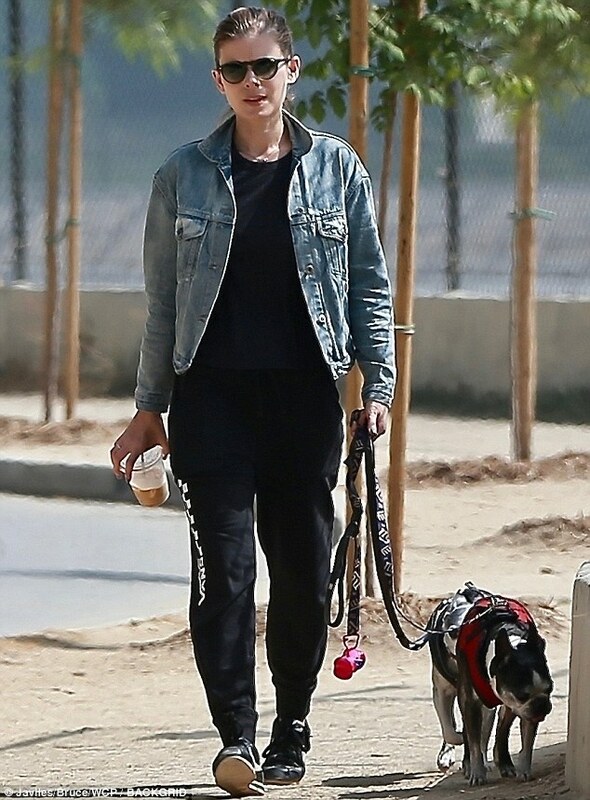 On Saturday, Kate Mara kept to her maternal duties as she took pups Lucius and Bruno out for a walk in LA. For her casual afternoon outing, the 35-year-old managed to look well put-together. Kate looked ready for fall in a denim jacket, which she layered over a black top. The Shooter star added a pair of relaxed joggers and sneakers to her look. Kate topped off her ensemble with a set of shades and kept her hair pulled back and away from her face.